1. Harry Potter and the Deathly Hallows by J. K. Rowling - I know some people might disagree, but I really liked this ending. It tied everything up nicely, and though it practically made me bawl throughout the entirety of it, I loved it. 2. 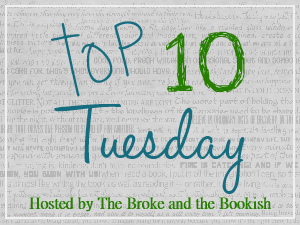 Mockingjay by Suzanne Collins - I'm sure, again, people will disagree with me on this one. I've heard so many people say they hated how it all ended, but I really kind of liked it. It wasn't ideal (I mean, who really wanted Peeta to have to go through all that crap? And Prim...), but I didn't hate it. I would have loved a more happy ending, of course... but that's just the world they live in. So I liked it. The end. 3. The Diamond of Darkhold by Jeanne DuPrau - After the third book took a little detour, I wasn't sure if I'd like the fourth one. Once I found out the story went back to where it left off in book two, I decided to go ahead and finish it. Don't get me wrong, I liked the third book, but I wanted Lena and Doon, not some past history lesson! Anyway, the fourth book was amazing and it really tied everything together. That Jeanne DuPrau... she's a genius. 4. Sapphique by Catherine Fisher - Oh my goodness, this was such a good book. I loved them both so very much, I can't pick a favorite, but this ending was really good. Gah! Can I read it again right now? Hee hee. 5. Forever by Maggie Stiefvater - Ugh... yet another one that I know so many people hated, but I loved it! I don't know if it's because I simply can't help loving anything Maggie writes or if it's because it was simply amazing. Maybe a lot of people didn't like it because it was so open-ended? I don't have a problem with that kind of ending, but I guess I can see how others would. Anyway, I loved it. 6. Are These My Basoomas I See Before Me by Louise Rennison - At ten books, you know it has to be good to keep my ADD happy enough for me to read them all. I'm not sure that sentence makes sense, but you get the idea. I read every book just waiting for something I wanted to happen so bad, and then I got it! There was much squealing and happiness and shouts of "FINALLY!" 7. Shine by Jeri Smith-Ready - Seriously, this is quite possibly the best ending to a series ever. If not, it's certainly up there at the top. Oh my goodness, so much awesome in this trilogy! Gah! Perfect ending. 8. The Last Olympian by Rick Riordan - I know Percy's story continues in the Heroes of Olympus series, but as an ending for this series, it was fantastic! So much fun and adventure and danger and relationships blossoming and pure awesomeness. I love it all! 9. 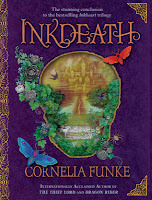 Inkdeath by Cornelia Funke - This is another one of those cases where I love each book in the trilogy so much, I can't pick a favorite. This one might be my favorite by a teeny tiny little bit, though... maybe. Gah! They're all just so good! 10. 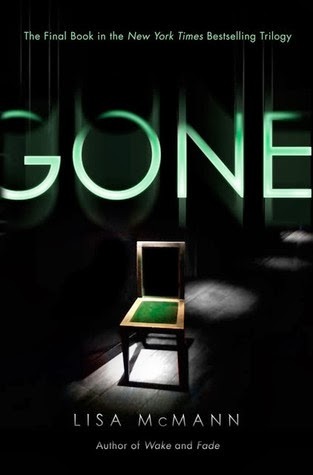 Gone by Lisa McMann - So... yeah. I didn't like this final book much at all. In my opinion, it didn't fit with the story. It felt really disconnected from the first two, which made me super sad. Oh well... you win some, you lose some. Are you as bad at finishing a series as I am? Which series endings are your favorite/least favorite? Share your thoughts in the comments below! The Last Olympian WAS completely amazing, wasn't it? I love that series. And, I'm currently working my way through the Shade series. I haven't gotten to Shine yet, so I'm glad to hear you loved it so much! The Last Olympian was great! I'm super excited to read The House of Hades soon!!! Oh my goodness, me too!! I simply HAVE to find out what's going to happen to all my lovely characters!! !